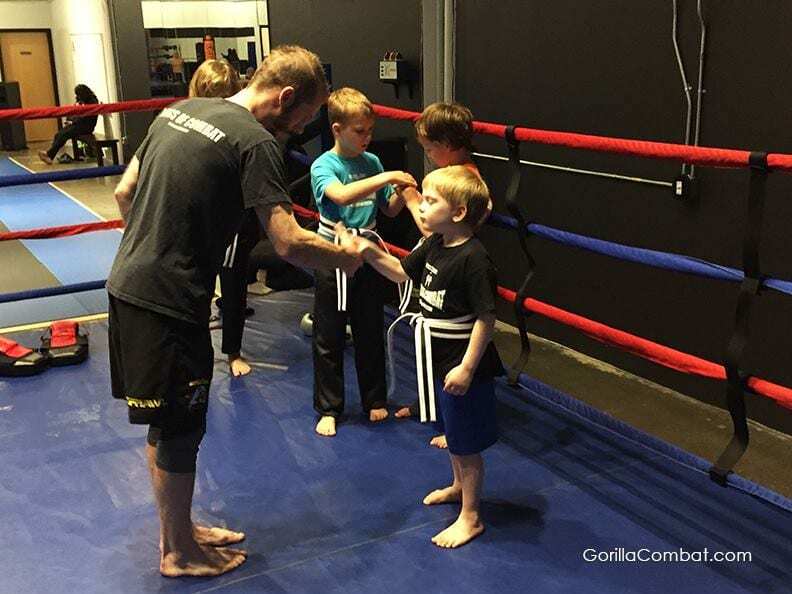 Gorilla Combat’s Youth program integrates physical education and self-defense techniques with conditioning and skill-oriented games. This class offers (5-8) and (9-12) year olds a new creative way to exercise. 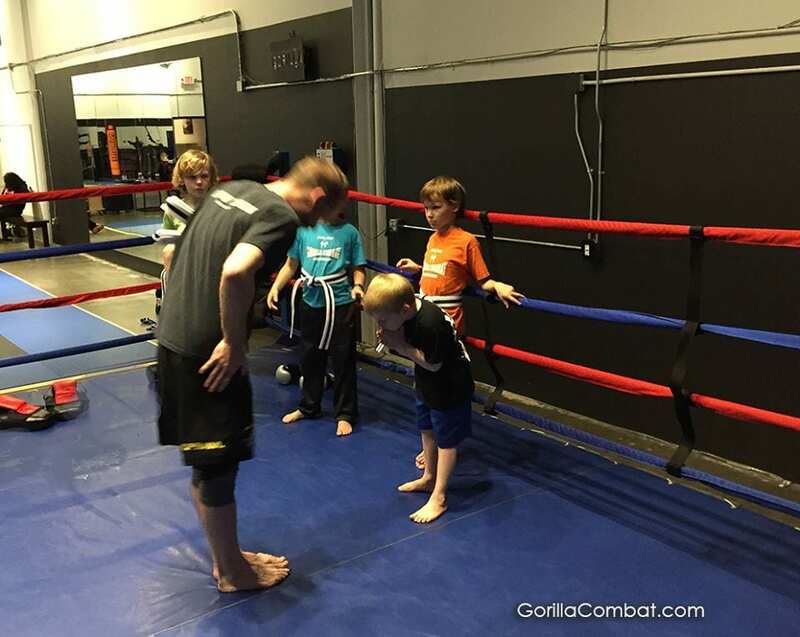 We will teach your child the basic offensive and defensive fundamental skills of boxing and the kicks and knees of Muay Thai. 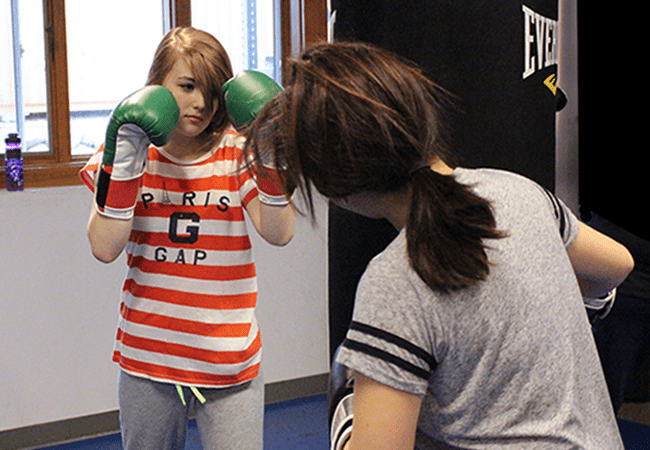 This class will provide your child with basic self-defense skills while improving their muscular and cardio fitness, improving their coordination and encouraging self-discipline and self esteem. All while having fun in a professional and safe environment. Unlimited classes in any and all disiplines. Valid up to one month from the date of purchase. My former boxing trainer, Caleb Traviño best coach I ever had by far." "When you find a workout that you won't skip - no matter what - you know it's special. It's the intensity, it's the full body conditioning, but it's also the instructors that make every novice feel like a pro and make those that have been there for years feel like it's a fresh, new workout." Went to Gorilla Combat for a BJJ seminar and belt test. Great facility and everyone there was extremely kind. Hoping to find some more time to drop in. If your close to Edina and looking for a good workout with great people I'd encourage you to check them out! "From my very first class, I felt welcomed and part of the group. Everyone was so gracious and quick to offer assistance. The instructors are knowledgeable and patient, and keep things fun and lively. The results have been increased strength and endurance, weight management, and I’ve even gained some knowledge on how to protect myself – all within a comfortable environment with some new friends."